Plant your garlic cloves in sandy, open soil in the fall. They will likely grow just enough that the new growth will poke out of the surface of the soil before the hard frost of late fall. 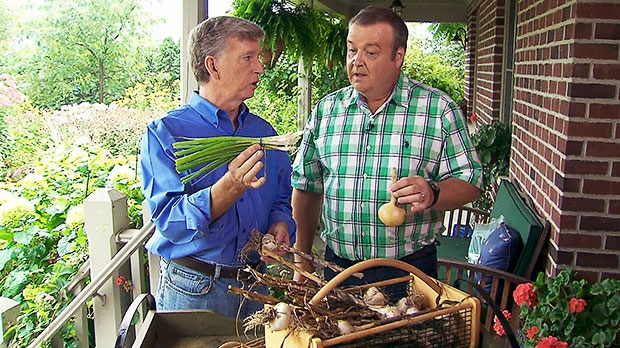 Watch the segment on http://canadaam.ctvnews.ca/gardening/garlic-in-the-garden-mark-cullen-explains-why-now-is-the-time-1.1449427.